Back on January 30th, I had a funny twitter conversation with the gorgeous Monika from Rocaille Writes, about our love of all things tea, Roman Polanski creepiness, and the possibility of racist bacon...the latter topic was interjected by my sissy Jane from Wondegondigo. 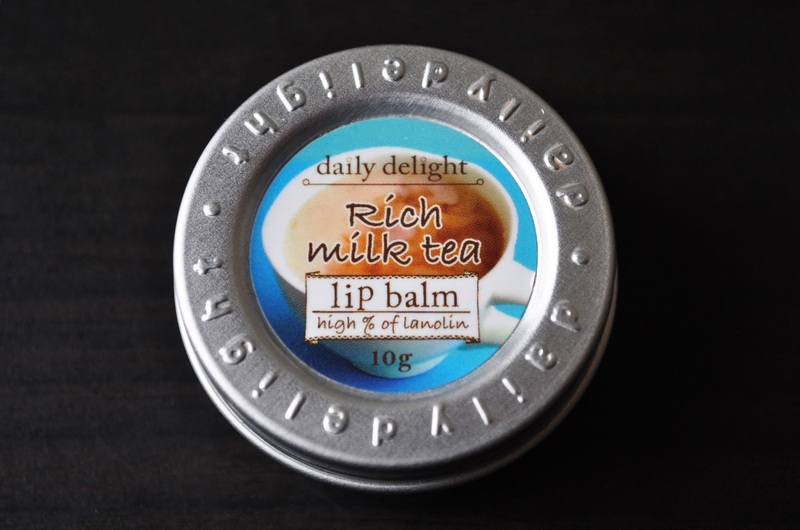 In that conversation, I mentioned the Daily Delight Lip Balm in Rick Milk Tea. I'm a huge lover of Royal Milk Tea, so, when I saw this milk tea scented lip balm, I had to try it. 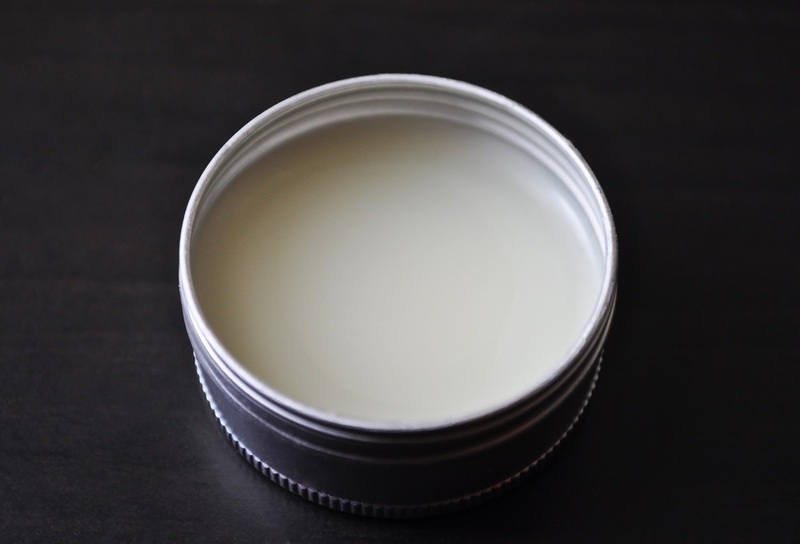 The Daily Delight Lip Balm in Rick Milk Tea has a slightly waxy, slightly firm, petroleum jelly consistency, giving the lips a smooth, glossy sheen with a delcious, sweey milk tea scent that lasts for a few hours; shame that the balm isn't flavored as well. The balm does a good job of keeping my pout moisturized. But, what's most impressive is, once the glossy sheen is gone, I found this lanolin beewax-based product leaves a film on the lips (a good kind of film) that acts as a barrier, preventing the loss of moisture and protecting my lips from the elements. Daily Delight Rick Milk Tea Lip Balm is housed in a cute, aluminum pot with the brand's name embossed on the screw lid, and it contains 10g of product and retails for 626 yen. Which lip balms are you using at the moment? Awww...this is so cute! Love the packaging which is on a tin can. Aside from the cute and unique packaging, it has impressive qualities. This is something worth checking out. I have a soft spot for cute, tiny packaging. I highly recommend looking into this lip balm.